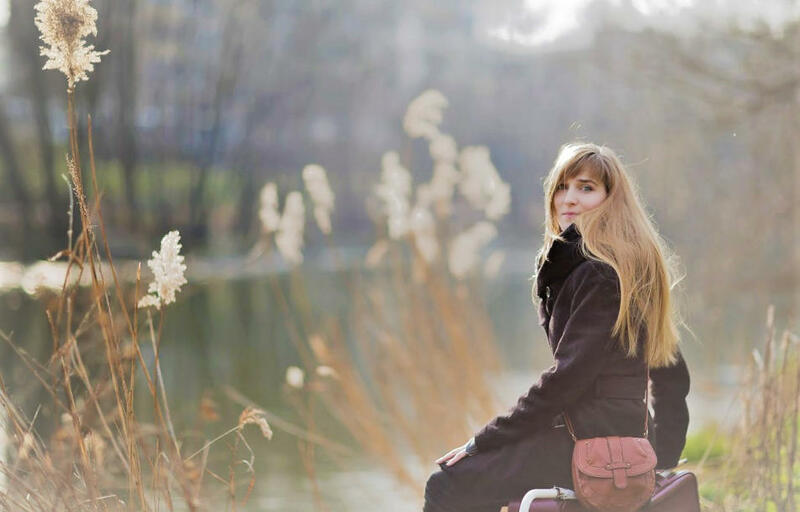 The musician Anna Lindenberger, born in Vienna, successfully completed her studies in vocal jazz & instrumental education, as well as in musicology, after doing her high school diploma. During her musical training she was already playing in various band formations. Soon, however, a project very close to Anna’s heart, a jazz quartet called "Anna Mignon & Band" (Martin Zaunschirm - p, Michael Schöner - b, Christian Kurz - dr) emerged, in which the artist acted as a singer and composer. The first EP “Little Bird” was recorded in 2014 and it was presented in the former “Wiener Ostklub” in the following year. The musicians did a splendid performance with the title song of the CD on Balcony TV Vienna and in the show "Salon Schräg" on Schau TV. In 2016 their music was introduced on Radio Orange. One year later Mignon started her solo project, in which she not only plays the electric piano, but also experiments with vocal effects and sounds. She played several solo concerts at some summer festivals, for example at the Donauinselfest in Vienna, as well as in the Wiener Stadthalle. Meanwhile the project was enlarged by the versatile multi- intrumentalist Maria Leubolt. You could hear the duo playing at some open air festivals as well as at the Porgy & Bess. Sometime before that, she began looking up the works of great nineteenth-century poets. This resulted in musical settings of selected works by Wilhelm Busch, Emily Dickinson, Emily Brontë and Edgar Allan Poe. In 2017 this work gave rise to the idea of an overlapping art project, which combines literature and music in the form of an atmospheric and sonorous collage. This paved the way for the collaboration with the author Lena Rubey. They celebrated the premiere of their joint program “worttönen“ in November in the atmospheric setting of the Wiener Kulturcafe 7 * Stern. Currently, the musician is working on her debut album. Furthermore, Mignon works as a background and studio singer in multiple projects as well as a vocal coach. This resulted in musical settings of selected works by Wilhem Busch, Emily Dickinson, Emily Brontë and Edgar Allan Poe. In 2017 this work gave rise to the idea of an overlapping art project, which combines literature and music in the form of an atmospheric and sonorous collage. This paved the way for the collaboration with the author Lena Rubey. They celebrated the premiere of their joint program “worttönen“ in November in the atmospheric setting of the Wiener Kulturcafe 7 * Stern. Currently, the musician is working on her debut album. Furthermore, Mignon works as a background and studio singer in multiple projects as well as a vocal coach. The musician Anna Lindenberger, born in Vienna, successfully completed her studies in vocal jazz & instrumental education, as well as in musicology, after doing her high school diploma. During her musical training she was already playing in various band formations. Soon, however, a project very close to Anna’s heart, a jazz quartet called "Anna Mignon & Band" (Martin Zaunschirm - p, Michael Schöner - b, Christian Kurz - dr) emerged, in which the artist acted as a singer and composer. The first EP “Little Bird” was recorded in 2014 and it was presented in the former “Wiener Ostklub” in the following year. The musicians did a splendid performance with the title song of the CD on Balcony TV Vienna and in the show "Salon Schräg" on Schau TV. In 2016 their music was introduced on Radio Orange. One year later Mignon started her solo project, in which she not only plays the electric piano, but also experiments with vocal effects and sounds. Meanwhile the project was enlarged by the versatile multi- intrumentalist Maria Leubolt. Sometime before that, she began looking up the works of great nineteenth-century poets.